I will preface by saying I am dieting merely out of a personal effort to be a little more healthy and to eat less junk food in the wake of final exams where I ate like crap. It is not a lose weight diet but merely a more regimented way to stay on a healthy eating plan. Bikini season is just around the corner so this healthy diet will be paired with some exercise and hopefully, all that winter flab and finals week pizza will be gone. I have always been a healthy person blessed with a high metabolism. I have always been very active, growing up on a farm with endless work to do and riding horses daily my entire life. My family ate pretty healthily and I have never been one with a huge appetite so I have always been thin and trim and had zero concerns about my body. After starting law school and moving to a new city with only a small yard to work in and no horses to ride, suddenly all of my physical activity was cut out of my life and I spent all my time hunched over books or sitting in classrooms. Though I still ate healthily, took the stairs and did Yoga when time allowed, I could definitely tell a negative difference in my body and my overall fitness. Now that school has ended for the year and the weather has gotten better, I have made a vow to get my fitness back under control. Besides the gym membership I will be purchasing in the next few days, I know a healthy diet is the best basis for a healthy body. 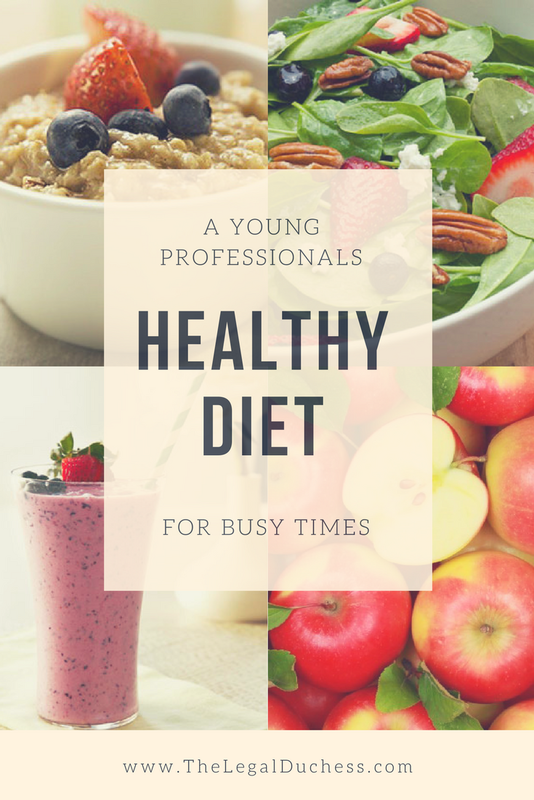 I have done some research and devised an eating plan that will be simple enough to stick to as I start my internship and could work for most busy young professionals looking to trim up a bit and feel better about what they are putting in their body without breaking the bank or giving up enjoying food. I will start my days with a whole bunch of coffee (non-negotiable) and one of a few varieties of filling, yummy and healthy breakfasts. I also take a variety of vitamins every morning including: Biotin, Magnesium, Vitamin D, Calcium, B12 and Vitamin E.
Did I mention my sweet tooth? It's rather persistent so I will need some sort of dessert in my life that still operates within the general realm of "not too unhealthy". Well, friends, we will see how this diet fairs... fingers crossed my willpower is strong!